Do you ever wonder what projects your neighbors have going on in their basements? [Will Jack’s] neighbors might be surprised to find he’s building a fusion reactor. 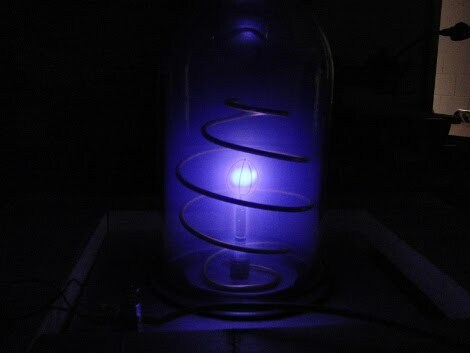 The first step toward completing a Farsworth-Hirsch Fusor is up and running. 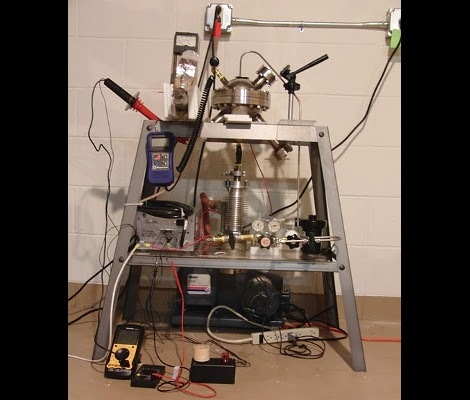 The picture above shows heated plasma contained in a magnetic field. Next he just needs to up the voltage and inject some deuterium. Yeah right! Deuterium, aka heavy water, is extremely rare and very difficult to refine. If you’re not familiar with the substance, you should get your hands on the NOVA episode: Hitler’s Sunken Secrets. We’re glad to see that [Will Jack] is donning a lead vest for protections. [Will O’Brien] cautioned us about the stray X-rays these things produce when he covered fusors back in 2007.